Backed by world class technology, driven by dedicated professionals and experience over 20 years - ANV INDUSTRIES LIMITED is a big name in the field of tractor parts in domestic market under brand name Spurred by the success and fired by the will to surpass, company has started exports in recent past and acquired the recognition in overseas market. At ANV, excellence is a way of life, evident in the quality and durability. Exquisitely shaped and incredibility well finished, state-of-the-art machine shop has latest new world class CNC machines and other machines imported from Europe. Apart from this, we have a number of other machines to compliment our machining of almost all the components used in our product line. This gives us the capability to achieve precision in all dimensions and to produce quality that meets the high demanding requirements of the international engineering standards. Also the plant has well equipped facilities for designing and research & development activities which is carried on CAD/CAM system. The company has also membership of Institute of Auto Parts Centre, Ludhiana and Central Tool Room Ludhiana, a joint venture of UNDO/UNIDO & Punjab state government, having testing facilities like 3D-CMM, Fatigue Testing, Universal Testing, X-Ray Fluorescence Spectrometer etc. The company's major lies in its capacity to implement and deliver bulk orders. This is possible because the company has the in-house technology and capacity which can effectively. process and execute orders immediately. 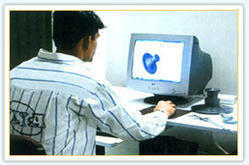 A clock check is kept at every stage manufacturing and emphasis is given to precision and quality. Each and every product and component manufactured are subjected to rigorous quality test. This standard of perfection. ANV Industries Ltd.,With its Modern Machinery & Workshop, has become One of the Leading manufacturer & export of Tractor Parts. All our machines are microprocessor controlled with multi stage parameter settings, which helps us achieve the highest levels of quality and efficiency. ANV Industries Ltd. its own fully equipped tool room to meet its requirements. Short delivery time for new developments is the essence of all contracts. On receipt of orders from customers, component drawings and quality norms are discussed in detail.